#256CHALLENGE December 2016 – Are you up for it? In 2015, we came up with a challenge to run 256 miles in one month. Yes, 256 miles! December can be a tough time for many when the motivation to get outdoors can be hard. So…. Kick start 2017 feeling strong and motivated with a fantastic base of endurance from which to build. On the 17th you go back down… 15, 14, 13, 12 and so on. It’s a brilliant pyramid session and one that will give you 256-miles for the month of December. No one day is too long but just look at the week of the 12th when you will rack up 99 miles. For many that may well be a ‘normal’ training week but for most it will be the biggest week of their training life! The advantage of the #256CHALLENGE is that it builds slowly, stresses you (and probably makes you overreach) and then allows you to step back down gradually, allowing for recovery and all in time for a serious blow out for the New Year! To help add additional motivation we encourage you to monitor and share your progress. You can download a log sheet PAGES HERE (for Mac) or EXCEL HERE (for word). Share your daily runs on Facebook and Twitter using #256CHALLENGE log your runs on one of the log sheets above and ideally upload your run sessions to Strava. Once December is completed forward your log sheets and we will pick a winner. 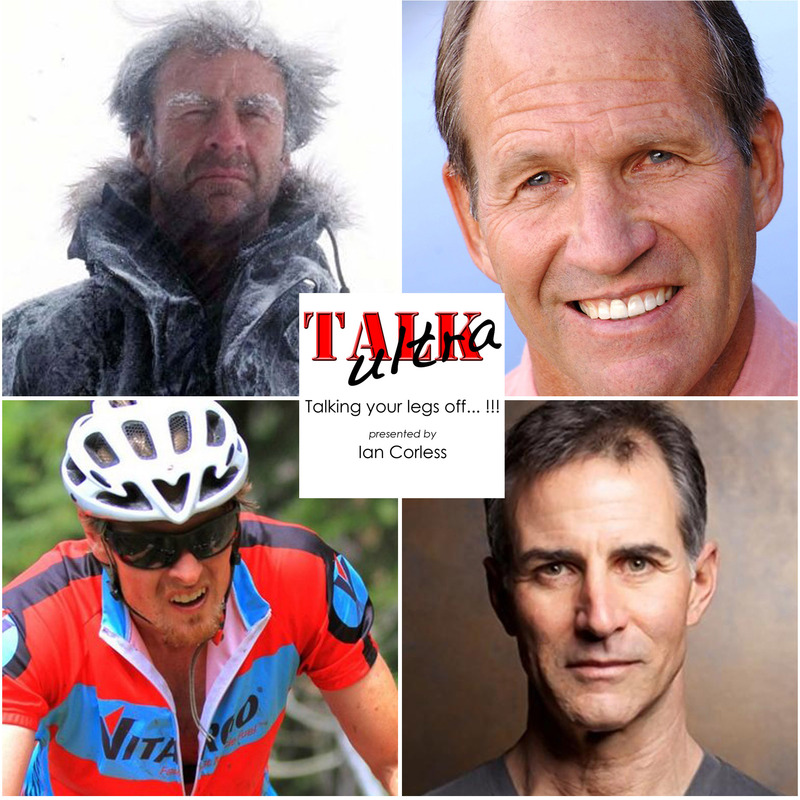 This is Episode 117 of Talk Ultra and it’s a packed show. We talk with Jonathan Albon who last year won the Tromso SkyRace and this year placed 2nd. Debbie Martin-Consani talks about running long and her recent CR at the North Downs Way 100 in the UK. We also speak to my fellow podfather and good friend, Martin Yelling, about his inspiring, ‘Long Run Home.’ The News and Niandi co-hosts. The VK which was run the day before saw Stian Angermund confirm his form from the Skyrunning World Championships with a strong victory and Emelie Forsberg won a nail biting sprint for the line to show us all she is on her way back. Read and view images HERE. It was a Kenyan victory for Petro Mamu ahead of the UK’s Robbie Simpson and Francesco Puppi from Italy was 3rd. In the ladies race, Michelle Maier took a great victory in 2:58 ahead of Lucy Wambui Murigi and Elisa Desco was 3rd. 120 miles over 6 stages and victory went to David Laney/ Ryan Ghelfi in the men’s race and Amanda Basham/ Keely Henninger for the women. This 20 mile race gets a mention as Jim Walmsley of Western States fane was apparently flying ahead of course record and then…. a lack of confidence saw him backtrack, WSER is obviously haunting him. Turns out he was on the correct course, he turned around and this time won but missed the record. Gonzalo Calisto, 5th at 2015 UTMB tests positive for EPO – Compressport have now released a statement which is a really positive sign. Read HERE. It was the 20th edition of the 3100m journey and Yuri Trosteny completed the distance first in 46 days and just 94-minutes faster than Asprihanal Aalto. Asprihanal won the race in 2015 in a record 40 days. This time he came from behind and on one day he ran 86 miles to try to steal victory – 94 minutes super close! Yuri ran consistently more than 63 miles everyday! When this show comes out it will be the Matterhorn Ultraks in Switzerland and then the week after it’s UTMB with a super stacked field and the iconic Trofeo Kima in Italy. Episode 93 of Talk Ultra has an interview with lady on fire, Megan Kimmel. We also speak to Harald Zundel about running long and super hard races. We also speak with Greg Donovan about running the 4 Deserts Grand Slam and the Big Red Run in Australia. Speedgoat is with us and we have some new music and new logo! Notable as Rob Krar pulled out….. UTMB? 1 – Ed Catmur 18:02 (the CR is 15:44:39 set by Ed!) apparently the weather was great? 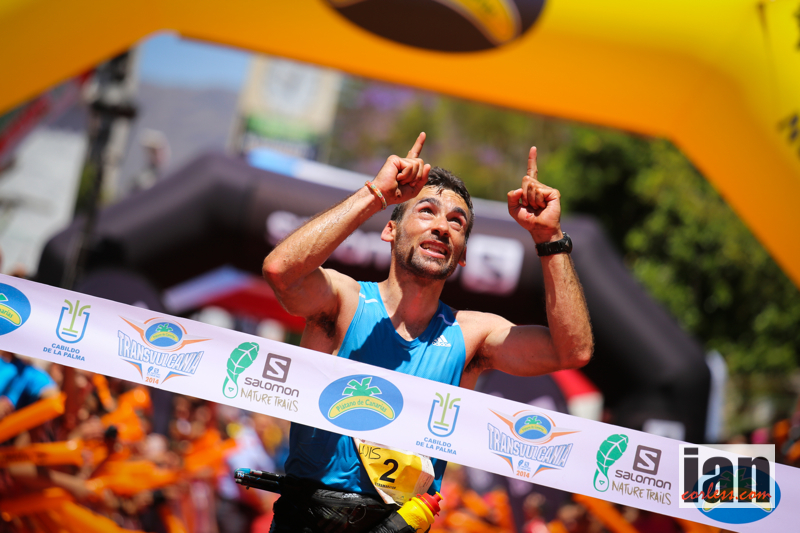 It’s only January and already the world of Skyrunning is hotting up with the announcement that 2014 Transvulcania La Palma champion and Skyrunning Ultra Distance World Champion, Luis Alberto Hernando will return to the island to defend his crown. 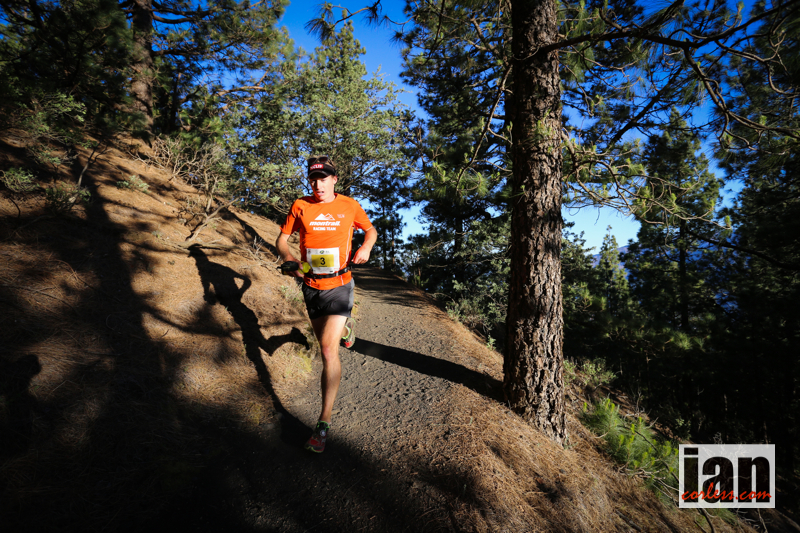 Luis Alberto Hernando had an incredible 2014 and his return to Transvulcania is eagerly anticipated. A true champion, the tough and challenging course is one that he relishes, however, Luis will not have things his own way! Salomon Running new signing, Dakota Jones won the race in 2012 and he is back once again to test himself. Dakota raced in 2014 but had a disappointing race (his words) placing 10th. With a new team and definite plan to race theSkyrunner® World Series and Skyrunner® Continental Series, I think it is fair to say that the American will push Luis all the way to the line. Timothy Olson loves the trails on the island of La Palma. In the past couple of years he has made the island his families home as he prepares meticulously for the race. Timothy is very clear, a podium place is a main objective. He came close in 2013 with 4th place and last year he placed 8th. 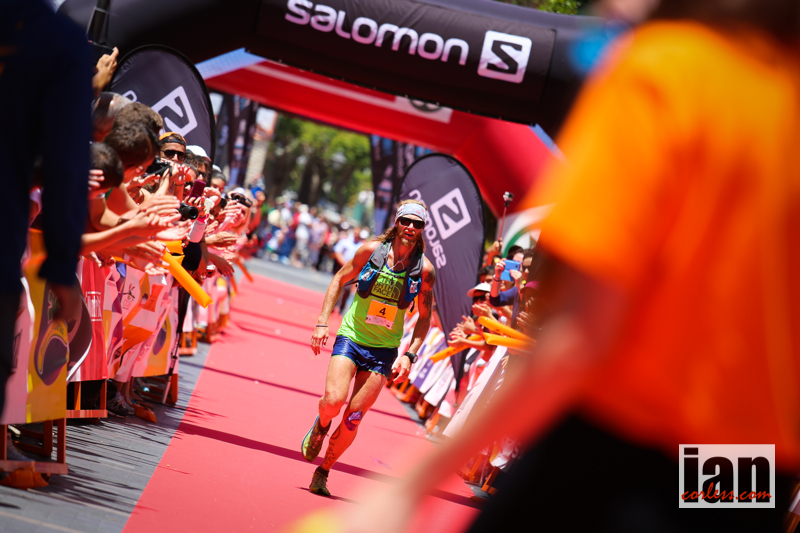 More athletes will be announced in the coming weeks and months as we all anticipate the 2015 Skyrunning Transvulcania La Palma. I hope 2015 is a wonderful year for all of you. May all your dreams and wishes come true. “I hope that in this year to come, you make mistakes.Because if you are making mistakes, then you are making new things, trying new things, learning, living, pushing yourself, changing yourself, changing your world. You’re doing things you’ve never done before, and more importantly, you’re Doing Something. Talk Ultra Bumper Stickers – Now Available! Now is your chance to show your support for the show! Two options are available, rectangular and oval. If you would like one, please specify your preference on the form below and if your postage is UK or outside the UK. We will invoice you via Paypal and delivery will be in December.